The story goes that the Western world discovered coffee after the Turks abandoned the siege of Vienna in 1683, retiring in haste towards greener pastures. Ever since those historical events, Turks have been associated with this stimulating, aromatic beverage. But when one of us was backpacking through Turkey in 1976, he vainly looked for a café that could serve a cuppa joe. Only one time during that long winter he thought he had a hit: after a brief moment of hesitation, the waiter produced a rusty can filled with what appeared to be the black, musty and unappetizing remains of Nescafé. The sight was so unappealing that he immediately changed his mind and ordered tea, the number one drink at the time. Today, almost half a century later, coffee is abundant, not just in the form of türk kahvesi, the traditional Turkish coffee cooked with water in a special small pot with a long handle, but also that of espresso, cappuccino and the even more hip cold drip. Indeed, culinary cultures are rapidly globalizing and many people in Turkey contribute enthusiastically to that process. A close observation of the coffee scene in Turkey, however, reveals considerable differentiations with regard to the products themselves, but also the aesthetics of coffee houses, the customers in these places and the sociability therein. 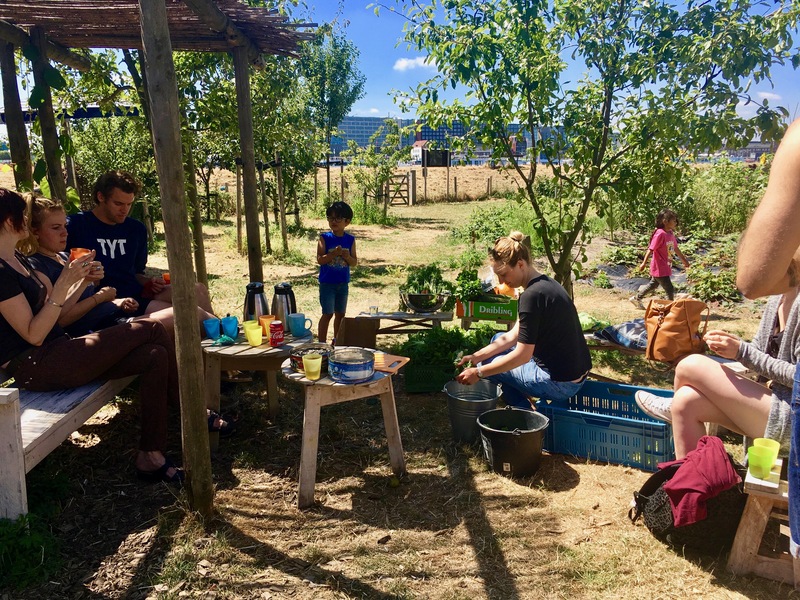 Those differentiations seem to be associated with such factors as the branding, location and market position of the amenity, but also characteristics of the customers including gender, age, education, social class and lifestyle. As we will demonstrate in this blog, such differentiations represent different manifestations of urban life. In what follows, we will briefly examine three types of coffee places in the megacity of Istanbul. This is our route: first, we will visit traditional coffee houses where Turkish coffee (but, much more frequently, tea) is being served, then we will stop by bigger coffee chains where cappuccino and latte are being made with modern machines, and finally, we will dive into small, artisanal end ecologically-friendly coffee bars where we enjoy cortado and V-60 filter coffee. The first kahvehanes (also called kıraathanes) date from early Ottoman times, more specifically the mid-sixteenth century after the Ottoman armies conquered the Arabian Peninsula. Coffee as a stimulating beverage for human consumption had its origin in this region, and the conquerors soon adopted an appetite for this drink. 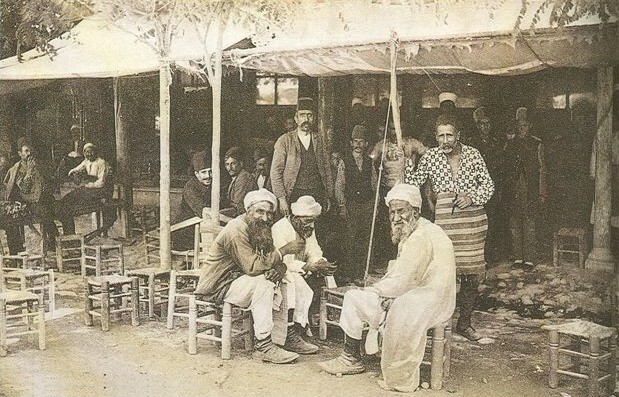 The kahvehane was the typical place to consume hot coffee. It was a public place in which people—more precisely: just men—spent their time when they were not at home, in the bazaar, the mosque or the palace. Not without a reason, such coffee places were located first and foremost in the vicinity of praying houses and trading points. Initially, professionals such as janissaries, civil servants, and artisans gravitated to their ‘own’ kahvehanes, but gradually these establishments became meeting places for intellectuals and other people with an appetite for more intellectual conversations. 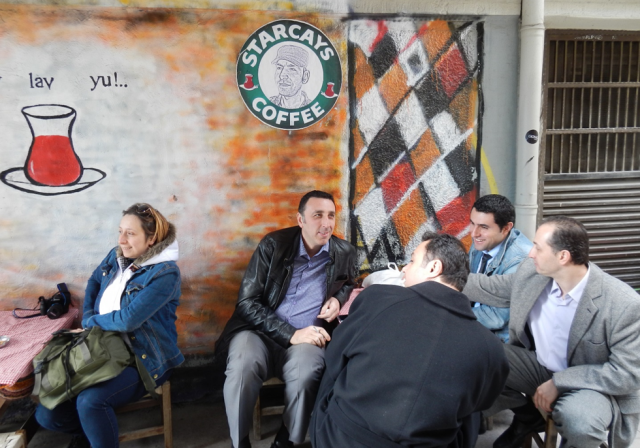 The expression kahvehane kültürü (coffee house culture) still refers to that intellectual culture. In a certain sense, this parallels the eighteen century coffee houses in London. The German sociologist and philosopher Jürgen Habermas described those coffee houses as centers of sociability and as the institutional space par excellence for the development of a ‘public sphere (…) which mediates between society and state, in which the public organises itself as the bearer of public opinion’. Coffee houses, he argued, constituted organisational structures that allowed ‘webs of social development’. In his view, coffee houses as well as other new arenas of public life (such as theatres, museums, opera houses, meeting rooms)—supported by a new infrastructure for social communication (the press, publishing ventures, circulating libraries, improved transportation such as canals and carriages—helped foster ‘the growth of an urban culture (metropolitan, provincial, imperial). As such, coffee houses were key for the development of a liberal democracy. Today, however, kahvehanes are no longer the nodal points for an intellectual elite. On the contrary, they have become places where poorly-educated men from the lower classes (and often from the same rural, ethnic, or religious background) hang out. They spend a cozy time with their peers, engage in cheerful conversations, smoke cigarettes or shisha if allowed, play card, okey (a kind of Rummikub) or tavla (backgammon), or watch television (notably football). The interior is usually simple and a bit austere: low taborets and chairs placed around low tables. Such more traditional places are mostly to be found in the countryside and in urban working-class neighborhoods. Kahvehanes are often places where poorly-educated men from lower classes hang out. 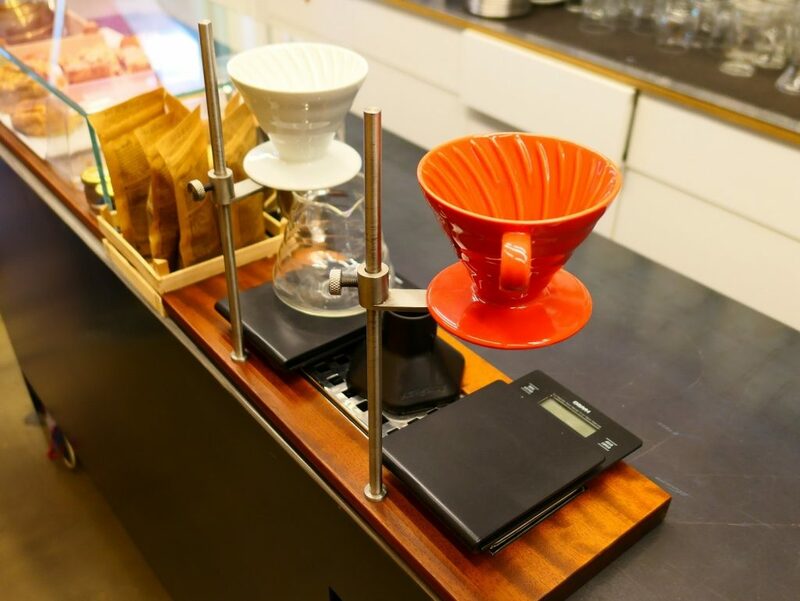 There are kahvehanes here and there that do cater to middle-class customers of both genders. The famous coffee house Mandabatmaz in Beyoğlu, located just off the local main street, İstiklal Caddesi, is a case in point. Its Turkish coffee is said to be the best in the city. 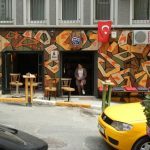 Further down the road opposite of the Galata Tower, one may find an equally tiny and simple place called Çay Lav Yu that targets a larger and more international group of customers by displaying a logo that resembles that of Starbucks: Starcays Coffee. Çay Lav Yu, incidentally, is a wordplay joke as it sounds like ‘I love you’. By the way, the most popular beverage is still… tea. The somewhat unexpected but global emergence of espresso and cappuccino since the 1990s, has affected Turkey as well. 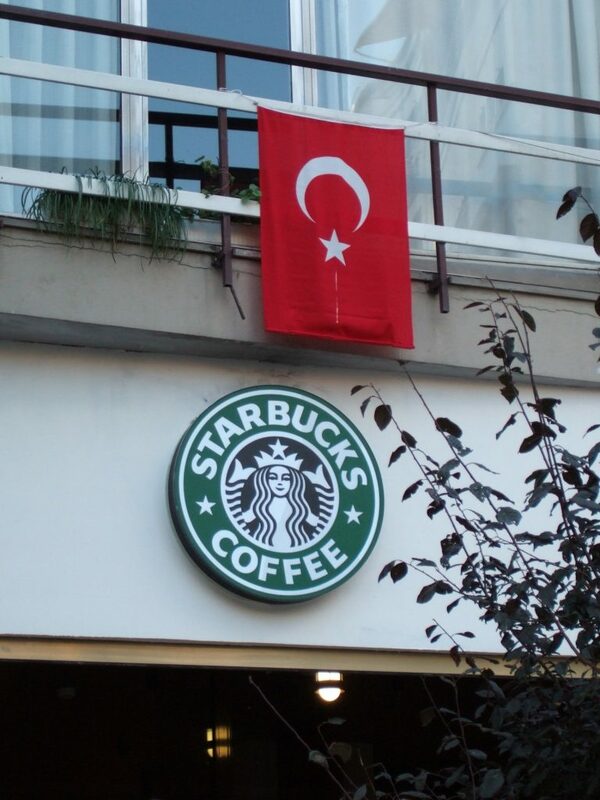 American chains such as Starbucks and Gloria Jean’s Coffees have paved their way to masses of customers, quickly followed by Caffè Nero, Caribou Coffee, Tchibo, Lavazza, en Robert’s Coffee, and gradually also by Turkish chains such as Kahve Dünyası, Kahveland, Espressolab and Yeşilçam Kahve Evi. The American sociologist John Manzo described the emergence of these chains as the ‘second wave of coffee’. The second wave pertains to the production and consumption of more artisan-driven ‘gourmet coffee’ by the introduction of new roasting and brewing styles. Next to chains selling specialty coffee and tea, there is a wide array of Turkish chains that also serve breakfasts and lunches and a host of nice and sweet products such as baklava, ice cream and pudding: Mado, Dilek, Saray Muhallebicisi, Özsüt Muhallebicisi, Faruk Güllüoğlu, Simit Sarayı and Hasan Usta are among the most well-known ones. These types of businesses (pastanes and muhallebicis) with their offering of more traditional (non-alcoholic) beverages, cookies and milk products have existed in Turkey since days of yore, but a number of them have adjusted (‘modernized’) the products, interiors and branding and shifted to larger scales so as to create bigger markets. A plethora of smaller cafes, pastanes, pudding shops and other local catering businesses have been inspired by these examples and now have latte macchiato on their menu as well. The American coffee chain Starbucks. The Turkish coffee chain Yeşilçam Kahve Evi. All are serving a mass market and quite a few are even internationally oriented, certainly in neighborhoods that are frequented by tourists and expats such as Beyoğlu and parts of Fatih. 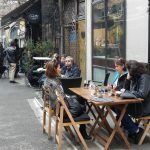 More generally, they are to be found in middle-class neighborhoods: Starbucks in Bebek, Caffè Nero in Nişantaşı, Lavazza in Galata, to mention a few, and within those neighborhoods especially in shopping malls and the busier shopping strips. The interiors of the international chains are like the standardized interiors anywhere else in the world, but the Turkish chains have developed a locally-specific aesthetic style. Customers are immersed in a style that locals consider as chic, and that comprises mirrors, curly spirals, glitter, and light colors with golden finishing. The walls are decorated with shelves and glass cases filled with silver boxes and dishes with lokum (Turkish delight), nikah, bebek and mevlüt şekerleri (bridal sugar and so forth). For whatever it is worth: in our opinion the coffee, while cooked with an impressive and shining espresso machine, is generally rather weak and has an uninspiring, flat taste. It seems tempting to assume that such coffee places are frequented first and foremost by clientele of Western-oriented, progressive and secular middle-class people, but it is not as simple as that. It is a fact that the impressive economic growth of the past decades—boosted by deregulation, low interest rates and mega-sized construction works—resulted in an enormous expansion of the middle classes in general. But contrary to earlier periods of economic growth, and now strongly driven by the politics of subsequent AKP governments, today’s middle classes also comprise the more conservative, religious part of the population. They live to a large extent in their own neighborhoods (in Üsküdar or Başakşehir sooner than Kadıköy or Beşiktaş). With the self-assurance that suits their new status, moreover, these new middle classes maintain a life style that resembles that of the regular middle classes in material terms, but distinguishes itself from them in social, cultural and moral terms. So, just like other middle classes, and while seated in their private car, they join the traffic jams in the overcrowded city, they shop around in new upmarket shopping malls, and they enjoy delicious food and beverages in swanky cafes and restaurants. But they do so with their own aesthetic preferences, their own dress codes and religious symbols, and with own social manners expressing respect for religion, family and gender differences. 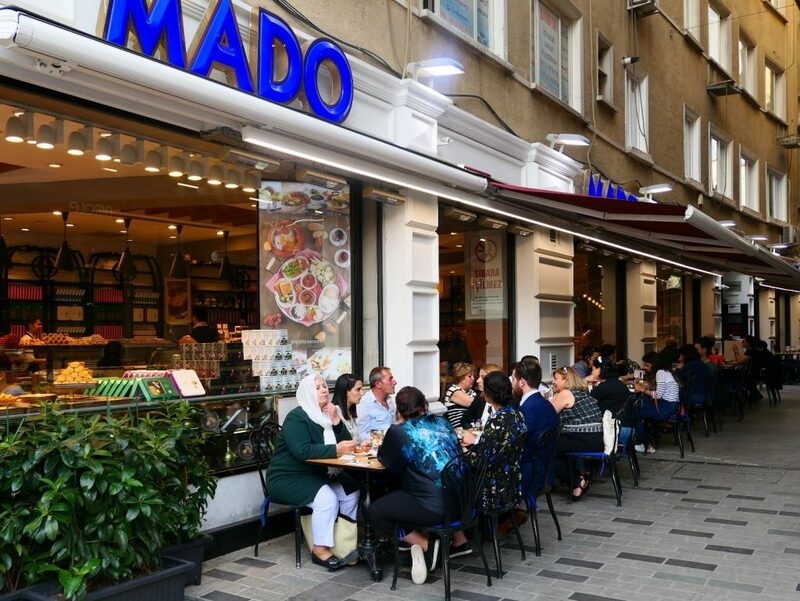 Seen from that perspective, Mado in in the secular middle-class neighborhood of Moda is fundamentally different from Mado in the conservative neighborhood of Üsküdar. ‘Mado’ in in the secular middle-class neighborhood of Moda. The chains of the second wave paved the way for the third wave of coffee. The latter comprises a motley collection of small-scale, local, artisanal, independent coffee roasters, grinders and brewers who wish to ‘let coffee speak for itself’. Many see their operations are part of a bigger world and they want to contribute to making that world better. Some are field-to-cup coffee makers: they buy coffee beans (independently or together with others) directly from the farmer, they organize the imports, roast and grind the beans themselves with their own machines, and cherish the ambition to produce a top-notch final product. Visiting such a place is a special experience by default and the coffee, in whatever way brewed, is perfect indeed. 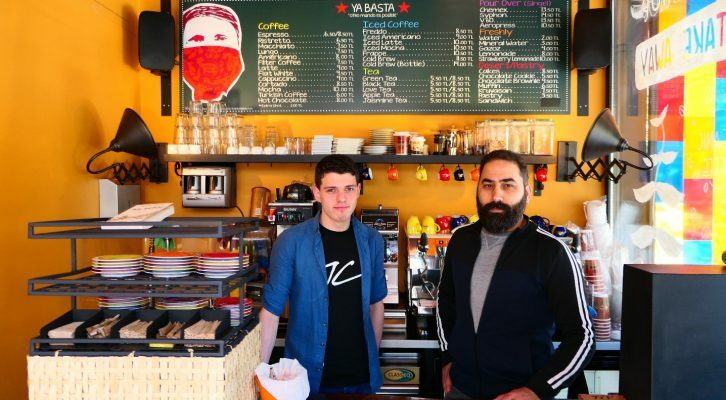 Many of those coffee bars are to be found in gentrifying neighborhoods such as Cihangir, Tophane, and Balat on the European side, or Moda and Yeldeğirmeni at the Asian side, and that is no coincidence. These areas are also nodal points of hipsterism and alternative life styles. A visit to Coffee Sapiens in Karaköy can easily be combined with a visit to the Istanbul Modern Museum of Modern Art or with funshopping in the adjacent soukh with its jewelry makers, art dealers and home decoration stores. The coffee bars are not always located on top locations. 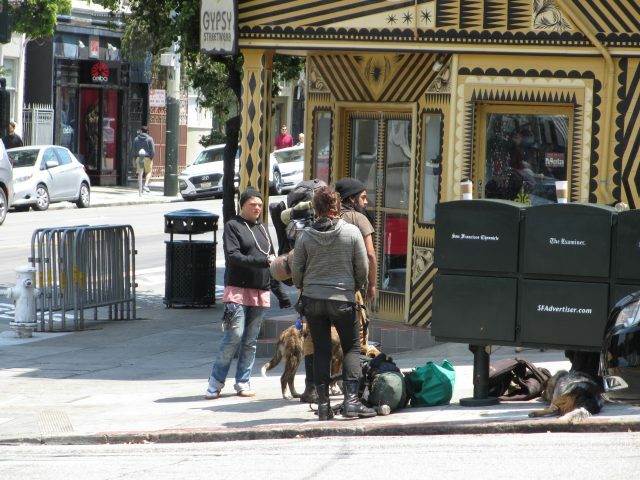 In fact, some are hidden in a side street of a side street, sometimes in somewhat edgy parts of the city, and therefore not immediately visible to casual visitors. The entrepreneurs, moreover, do not always seem to mind their competition. 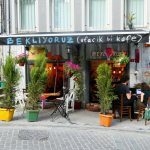 On Hayriye Caddesi, a small street behind the Galatasaray High School in Beyoğlu, there was initially just one specialty coffee bar. 7GR Art Cafe was a famous for its super strong (but, for some people, palate-killing) ‘atom coffee’ (made with twice as much coffee grind per shot). 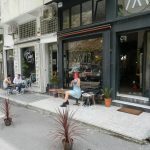 7GR closed its doors, soon to be succeeded by Wake Up Coffee and that one also soon by Bekliyoruz, but in the same year within a circle of no more than 50 meters no less than six other coffee bars opened up. Each of these new coffee bars, admittedly, tried to get the competitive edge by selling other products as well, including dresses, plants or tattoos, but as was to be expected the market was not big enough for so many outlets. One of the now many coffee bars in Beyoğlu. It cannot be ruled out, though, that some of these alternative enterprises do manage to break out to more profitable markets. 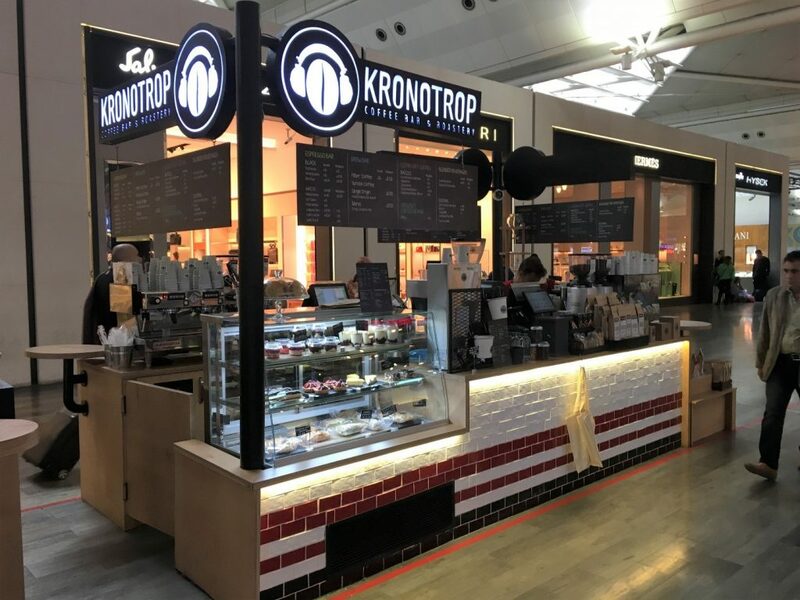 The über-hip Kronotrop, for example, located opposite of the Firuzağa mosque in Cihangir, opened up a second outlet in the departure hall of Atatürk Airport. Such a location warrants the question of how ecologically-friendly Kronotop’s espresso still is. Walter’s Coffee Roastery, totally modelled after Walter White, the main character of the American cult series Breaking Bad, is another case in point. Visitors can, just like in the television series, put on yellow overalls and black gas masks and make a selfie while standing next to the stainless steel coffee roaster. By now, Walter’s Coffee Roastery has a second branch in Brooklyn (New York) and a third one in Dubai. The globalization of culinary culture apparently also works in reverse direction, from the periphery to the center. But these are exceptions rather than the rule. Many third-wave coffee bars cherish a countercultural touch, they represent an alternative culture or at least they pretend to do that. It is not exaggerated to state that most third-wave coffee bars are part of what the American sociologist Daniel Aaron Silver and Terry Nichols Clark would call a scene. 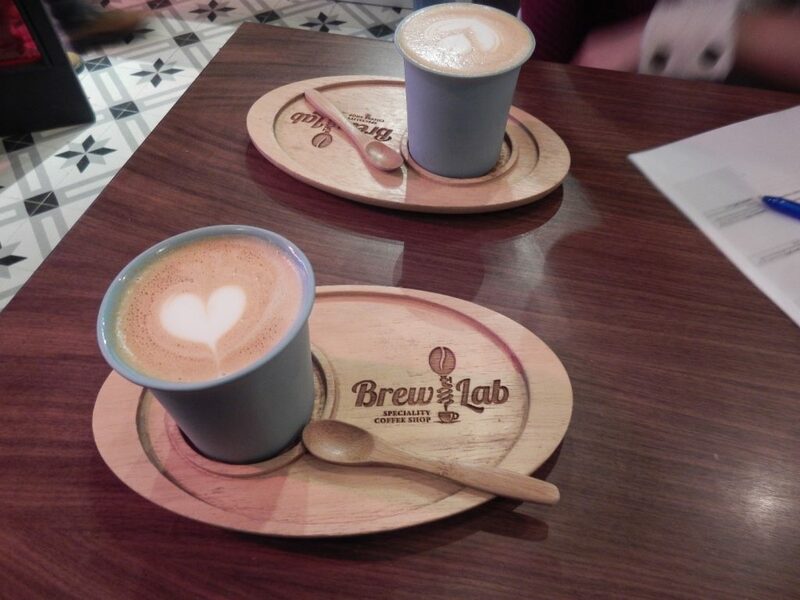 The urban coffee scene encompasses a particular fan base, associations, journals and websites, training programs, festivals, cappuccino art concourses and barista competitions, and is connected to other amenities that attract the same type of people. As Reza Shaker Ardekani and Jan Rath argue in their paper about ‘coffee people’, particular membership rules, aesthetics, and scripts apply in these scenes, and quality matters. That quality includes care for the environment and for the body, as is also manifested by the use of the raw materials: the beans are organically produced and so are the wheatgrass milk and the flour for the gluten-free muffins and poğaça bread on the counter. And not unimportantly, cappuccino is not just coffee with steamed milk, but a platform for the performance of individual identity and artistic expression, sometimes literally. 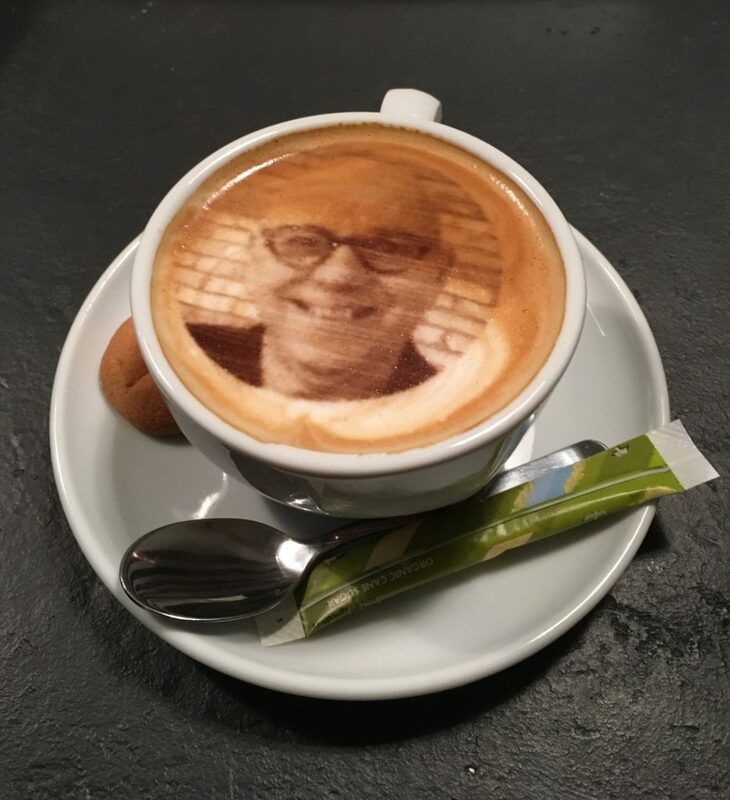 Cappuccino is not just coffee with steamed milk, but a platform for the performance of individual identity and artistic expression, sometimes literally. In these alternative coffee bars, we are not surrounded by an abundance of waiters and waitresses in neat uniforms, but by one or a few individual baristas dressed in quirky clothing, a big beard, a bun on the head, and—of course—the necessary tattoos and piercings. The alternativity is also displayed in the name of the bar—often an English equivoque such as 7GR, 60 Beans, Be Coffee, Not Just Coffee, 1Up Coffee, CoffeeBain, Ministry of Coffee, Wake Up Coffee, Noir Pit, Cup of Joy, or the award-winning Brew Lab—and its interior aesthetics: no curly spirals or glitter, but worn-out stuff showing raw materials and poor finishing. Bare bricks, rusty bars, and wobbly chairs of various shapes, they are all part of an authentic experience. 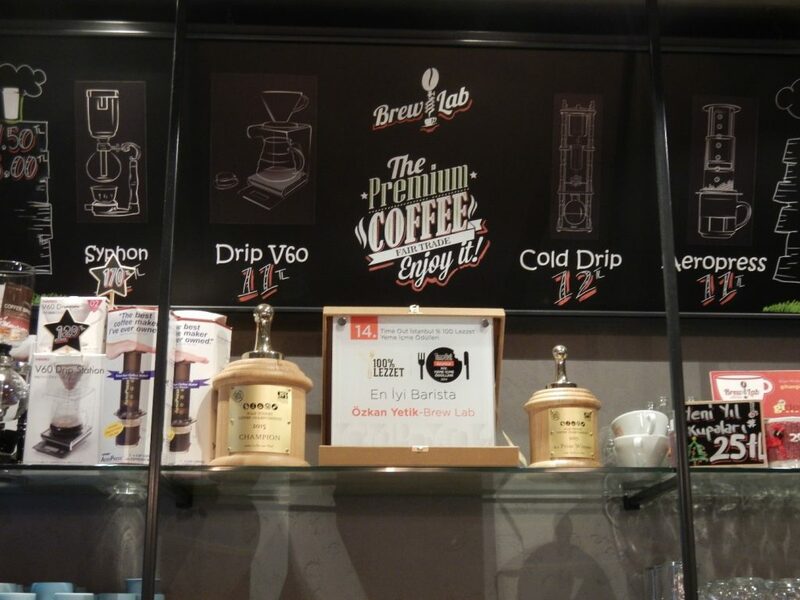 Brew Lab has recently won an award. Montag Coffee Roasters in the Asian neighborhood of Kadıköy challenges this seemingly alternative but nonetheless rather uniform interior design. For starters, visitors must be extremely well-informed or have eagle eyes to detect the entrance behind the mini-store of cell phone sleeves, but once they have reached the coffee bar on the first floor, they find themselves in a light and dazzling white room. While preparing a latte of Brazilian beans, the barista explains that owner may be Turkish, but that he does not think Turkish. He proudly describes the exclusive interior as ‘Nordic’. The customers, often young women, are having animated conversations while they look down from the balcony to see the street below filled with shoppers. Many customers seem to be greatly aware of their stylish and fashionable presentation. In Istanbul, only a minority of the patrons of third-wave coffee bars are busying with their laptops. 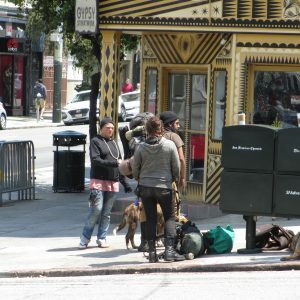 It is possible that ‘Wi-Fi-seeking urban nomads’, as they are sometimes called, are not very much in demand on the local labor market. But it is also a fact that many coffee bars are just too small. Rafine Espresso Bar of Coffee Manifesto, both located in Kadıköy, have no more than just a few seats. They apparently specialize in take-away coffee. 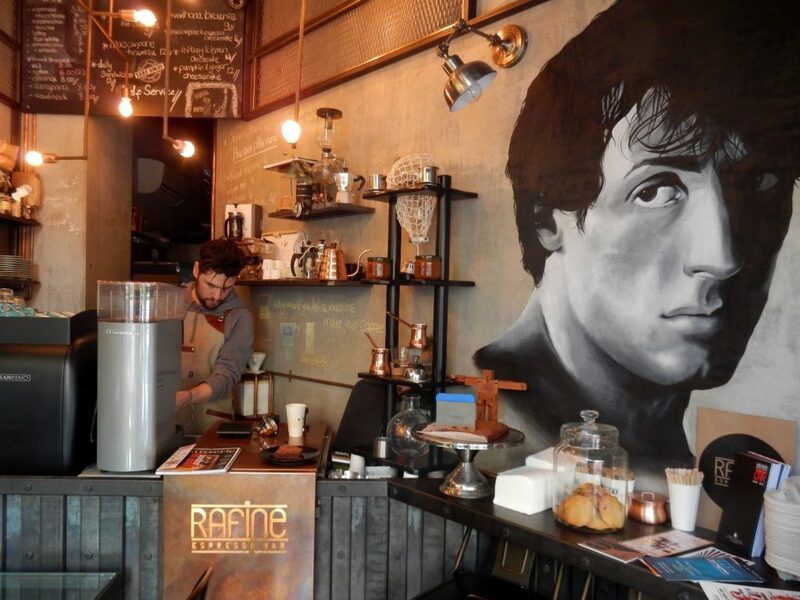 Rafine in Kadıköy specializes in take away coffee. Any coffee glutton in Istanbul today can always find something of his or her liking. In poorer neighborhoods, there are numerous traditional kahvehanes (sometimes) serving coffee, but most of all tea. Visitors are mainly surrounded by traditional men from the lower social classes. Next to those, there are modern coffee chains serving their middle-class clientele an assortment of products along a more or less standardized international style or a style that is somewhat adapted to the local taste and way of doing things. The interior and service are neat and staff and customers—Western-oriented people as well as more conservative and Islamic-oriented ones—know what to expect. And finally, there is a plethora of small-scale, artisanal coffee bars that target modern, higher educated, and more cosmopolitan customers. They have set a high quality standard, pursue high aesthetic and ecological ambitions, and sell the products for a high price. 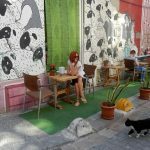 As can be expected in Istanbul, like in any other city whether it is in Canada, the United Kingdom or Iran, these three types of coffee places have not been equally spread out across neighborhoods in the city. The spatial distribution patterns reflect the uneven dispersal of the population in terms of educational level, social class, and world orientation, the way they want to relate to others, and the urban life styles they aspire. Coffee houses, to be sure, are not just about the intake of liquid caffeine, they are explicitly also about the added social and cultural value. The production method of coffee and the form in which it is offered, the aesthetic style of the venue, and the immediate (social) environment thereof, manifest a cultural orientation and tell something about the identity of the coffee drinker and the social category he or she belongs to or wants to belong. You are what you eat. And what you drink. Our exploration of Istanbul’s coffeescape clearly display these variations of urban life. 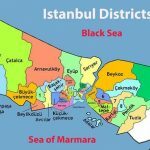 This is a slightly revised and extended version of a Dutch language article that was initially published in ‘Standplaats Istanbul‘. This book was published on the occasion of the 60th anniversary of the Netherlands Institute in Turkey (NIT), based in Istanbul. Hereby we wish to acknowledge the advise and support from the editors Fokke Gerritsen en Hanneke van der Heijden as well as the publisher Jurgen Maas.